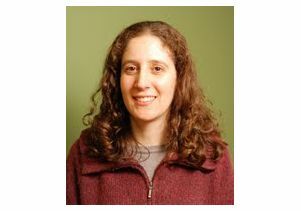 UCLA life scientist Elissa Hallem is among 118 scientists and scholars from 54 universities and colleges in the U.S. and Canada to receive 2011 Sloan Research Fellowships from the Alfred P. Sloan Foundation. The fellowships are awarded to "exceptional young researchers" based on their "outstanding promise of making fundamental contributions to new knowledge," according to the New York–based foundation. Hallem is an assistant professor of microbiology, immunology and molecular genetics and a member of UCLA's Molecular Biology Institute. She earned her Ph.D. from Yale in 2005. Hallem's laboratory studies the interactions between animal parasites and their hosts. For more information on her research, please visit www.hallemlab.com. "Elissa Hallem is one of many examples of outstanding researchers who are transforming the 'new life sciences' at UCLA, the essential science of the 21st century," said Victoria Sork, dean of the UCLA Life Sciences Division. "We are proud to have Elissa on our faculty. Her research in immunology and neuroscience exemplifies the new discoveries emerging from the integration of tools and concepts from life science disciplines." Sloan Research Fellowships are intended to enhance the careers of exceptional young scientists and scholars in evolutionary and computational molecular biology, neuroscience, chemistry, physics, mathematics, computer science, and economics. "The scientists and researchers selected for this year's Sloan Research Fellowships represent the very brightest rising stars of this generation of scholars," said Paul L. Joskow, president of the Alfred P. Sloan Foundation. "The Foundation is proud to be able to support their work at this important stage in their careers." For information about the Alfred P. Sloan Foundation, please see www.sloan.org.